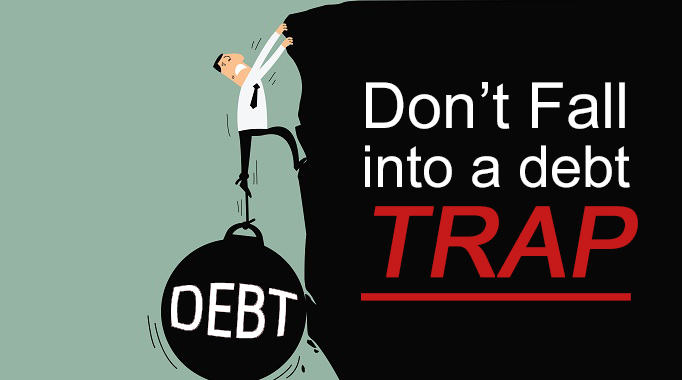 Beware of the Merchant Cash Advance Debt Trap! Small businesses, like all businesses, need cash to operate. But for many small businesses, gaining access to much-needed capital can be difficult. This is especially true if the business doesn’t have an established track record of success or has a poor credit history. Many traditional financing sources (such as banks) don’t find it worth their while to take the risk, especially if the amount needed is small. An alternative option for small business owners is a Merchant Cash Advance. They are essentially payday loans for businesses, offering cash today in exchange for tomorrow’s accounts receivables. This form of funding is not considered a loan by lawmakers, although for all practical purposes it is just that. By purchasing future receivables, lenders argue they are not technically loaning money, and therefore are able to skirt strict usury laws which limit the amount of interest that can be charged. The distinction is important as it allows the lenders to charge much higher interest rates than normally allowed. Given their (intentionally) complex fee structure the interest rate is difficult to calculate; but, typically they routinely are 400% or higher on an annual basis. Merchant cash advances also come with hidden fees and nefarious provisions written to disproportionately benefit the lender. These include penalties for seeking additional loans or modifications to the payment schedule, and make the original loan that much more unaffordable. Borrowers are often so desperate to save their business, or blindly optimistic that they will be able to repay the loan, that they overlook the highly unfavorable language. Another danger is the inclusion of a Confession of Judgement - a waiver of sorts signed at the time the loan is given that gives the lender permission to seize assets without the borrower being able to defend themselves. Lenders typically obtain the judgement in lender-friendly New York state, often without giving any notice to the business. With a confession in hand, the lender knows they can’t lose, so many abuse their power to ensure repayment whether the borrower is in default or not. Borrowers might be negotiating in good faith with a lender who – behind their back - has started the judgment process. The first time a small business learns about the judgment is often when its bank account is frozen. By then it may be too late as most banks accept the Confession of Judgement without question, releasing all their capital to the lender before the business owner can do anything about it. Merchant cash advance lenders are some of the most aggressive marketers, proactively peddling their predatory loans on unsuspecting small business owners desperate to keep their business afloat or simply tempted by the unsolicited opportunity to grow their business with the capital injection. If you are already caught in the merchant cash advance snare, there are options to stop lender harassment, negotiate a reduced settlement, and even regain access to frozen bank accounts. Don’t wait until it's too late - MCA lenders have aggressive attorneys on their side, so should you. If your business is in Texas, contact the dedicated settlement experts at The Lane Law Firm. Free consultations and case reviews are available to determine the best course of action for your unique situation.